Why See First Aid Kit? One of the biggest names in modern alternative country, Swedish sisters Johanna and Klara Soderberg's fascination with the genre began when they were still in school. The duo is returning with their with The Rebel Tour which is in support of their fourth studio album, Ruin, which was released early 2018 and upon release received high critical acclaim. Swedish sisters Johanna and Klara Soderberg's fascination with American country music began when they were still in school. Playing and writing music since they could pick up a guitar, their Youtube cover of a Fleet Foxes song in 2008 grabbed people's attention and proved to be the first step in a luminous career which has seen the band tour with Conor Oberst of Bright Eyes and release two albums of shimmering alternative country. Sound good to you? 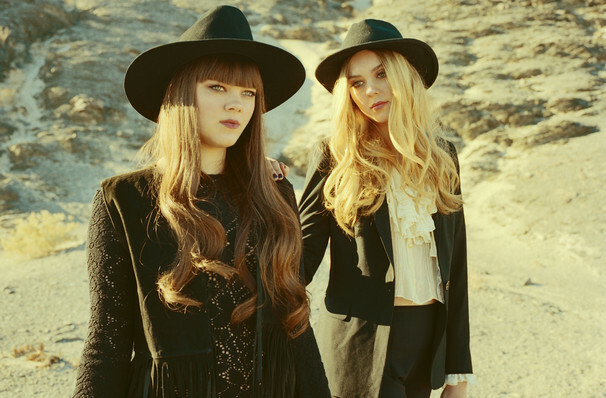 Share this page on social media and let your friends know about First Aid Kit at ACL Live At Moody Theater. Please note: The term ACL Live At Moody Theater and/or First Aid Kit as well as all associated graphics, logos, and/or other trademarks, tradenames or copyrights are the property of the ACL Live At Moody Theater and/or First Aid Kit and are used herein for factual descriptive purposes only. 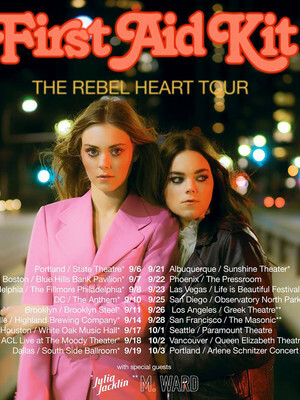 We are in no way associated with or authorized by the ACL Live At Moody Theater and/or First Aid Kit and neither that entity nor any of its affiliates have licensed or endorsed us to sell tickets, goods and or services in conjunction with their events.